You've found the smartest way to book Nicaragua vacations. Click a price below to see our unique vacation grid. It's very fast and has a calendar format for easy comparison. Our agents have been to most resorts - call us and we'll help you decide which hotel is right for you. 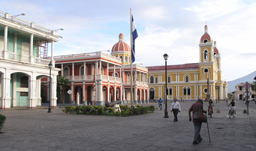 Nicaragua, Central America’s largest country, is pleasantly unexpected and unique. It’s a nature-lovers paradise, boasting waterfalls, mountains, lakes, rainforests, national parks, hundreds of beaches, and 6 active volcanoes. 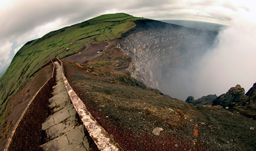 On your Nicaragua vacation, there is much to be discovered. 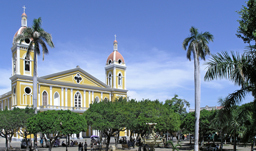 In the capital of Managua, admire the beautiful architecture and immerse yourself in the complex city, still recovering from the 1972 earthquake. 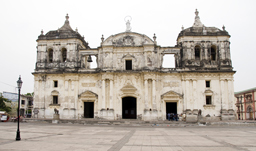 Visit the churches, museums, colonial attractions, and the country’s top university in Leon. 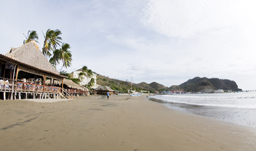 In the coastal town of San Juan del Sur, surf, fish, and soak up the nightlife in this beach area. 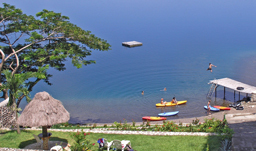 In Granada, get in touch with nature with kayaking, hiking, canopy tours, and horseback riding. Nicaragua vacations are perfect for action sports, adventure, and wildlife enthusiasts. Find vacation packages and flights with the help of our travel agents! 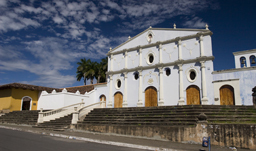 Getting Around: Nicaragua’s main international airport is Managua International Airport (MGA). 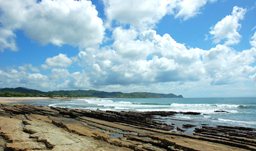 Visitors can also access the country via Costa Rican airports. Get around with buses, rental cars, or even bikes. Where to Stay: Stay at the 3-star Barcelo Playa Montelimar to experience Nicaragua’s capital city of Managua. Surrounded by lush tropical flora, featuring 4 restaurants, 7 bars, 4 swimming pools, and many activities, this is a fantastic place to spend your Nicaragua vacation! Weather: The rainy season runs from May to November. They dry season is November to April. Temperatures in the lowlands average between 22 C and 30 C and can reach up to 38 C in May. The central part of the country is about 5 C cooler and the mountains are 10 C cooler. 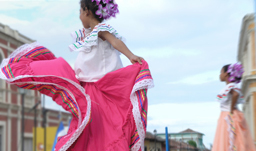 Begin your adventure to Nicaragua today by calling a travel agent toll-free at 1-800-665-4981. 10% unless already included. Porters expect USD 1.00.